What does being “born again” mean? Why doesn’t God keep me from being sick or hurt? 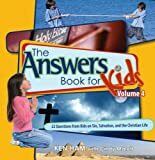 This entry was written by saurabh, posted on March 31, 2011 at 4:27 pm, filed under Ages 9-12 and tagged Baptism, Bible, Biographies, Christianity, Devotional, Easter, Fiction, Jesus, Ken Ham, New Leaf Publishing Group/Master Books, Noah's Ark, Prayer, Religions. Bookmark the permalink. Follow any comments here with the RSS feed for this post. Trackbacks are closed, but you can post a comment.